Once a hub for refugees starting new lives and reuniting with their families, refugee resettlement efforts in Texas are now a shadow of what they once were. 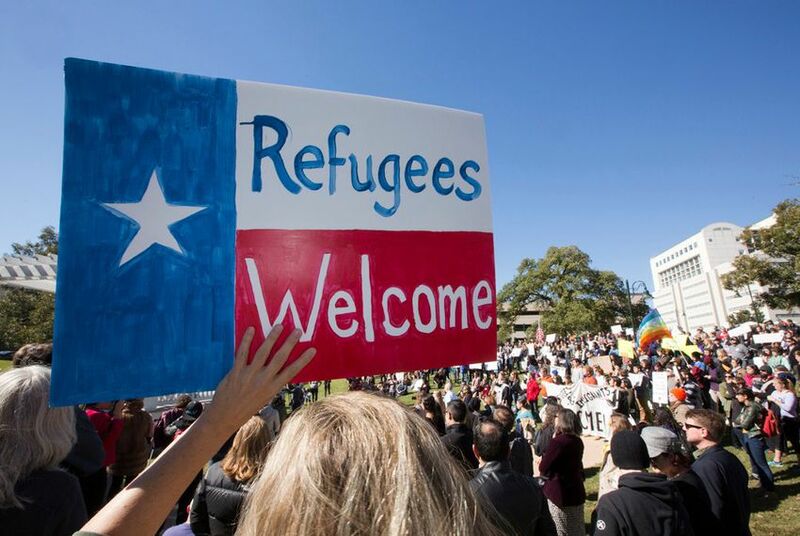 In the last federal fiscal year, which wrapped up Sept. 30, the number of refugees resettled in Texas dropped to 1,697 from 4,768 the year before. The 64 percent drop in caseloads marks an all-time low for resettlement efforts in the last decade in Texas and comes after years of growing political hostility toward the United States' longtime commitment to take in people fleeing violence and terror in their home countries. Total U.S. refugee admissions in 2018 were 22,491 — well below the federal government’s cap of 45,000 and a remarkable drop from the the last few years of resettlement under the Obama administration when the United States welcomed about 70,000 to 80,000 refugees each year. Most of the refugees settled in Texas in the last fiscal year came from the Democratic Republic of the Congo and Myanmar (which the U.S. State Department still classifies as Burma), though the total number of refugees settled in the state from both of those countries dropped by several hundred compared to 2017. Some of the most significant drops in resettlements in Texas were reflected in the drop in refugees from the Middle East. For example, only 25 Iraqis were resettled in Texas in fiscal year 2018, down from 949 in 2017 and a record high of 2,465 in 2014. And only 10 Iranians were placed in Texas in 2018, compared to the 383 that arrived the previous year. 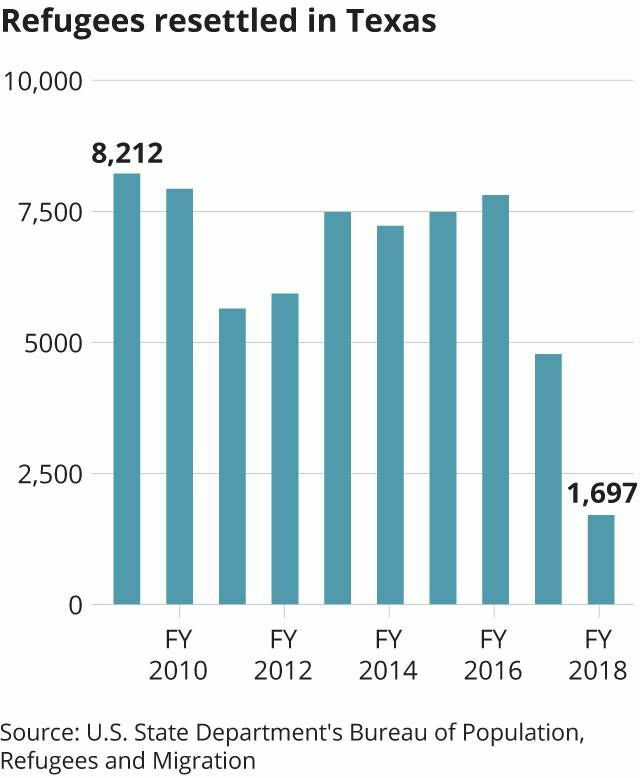 Just one Syrian refugee was placed in Texas in fiscal year 2018, down from 455 the year before and a high of 912 in fiscal year 2016. The entry of refugees — particularly those from war-torn Syria — has been under intense scrutiny for years amid national security concerns — most prominently those raised by President Donald Trump, who in 2017 said the entry of Syrian refugees was “detrimental to the interests of the United States” and imposed a travel ban on people from Syria and several other Muslim-majority countries. He was backed in his efforts by Texas Gov. Greg Abbott, a Republican, who unsuccessfully sued to keep Syrian refugees out of Texas, citing security concerns, and eventually withdrew the state from the resettlement program. That didn’t keep the federal government from continuing to place refugees in Texas through local nonprofit organizations whose efforts to resettle refugees are completely funded by the federal government. Nevertheless, the numbers for 2018 stand in stark contrast to the last few years of resettlement under the Obama administration and are likely to continue on a downward trend. Last month, the U.S. State Department proposed further limiting refugee admissions, setting a cap of 30,000 for fiscal year 2019. It’ll be the lowest cap in the history of the current refugee resettlement program.